Fiscal responsibility and strategy, too? Recently, Defense Secretary Chuck Hagel delivered the 2015 Department of Defense budget. Hagel’s budget proposes cuts to the number of personnel on active duty in the Army as well as the elimination of certain weapons systems. Unfortunately, criticisms of the proposal have been directed more at the current administration than at the overriding issues of U.S. security and fiscal reality. As soon as Hegel’s proposal was made public, complaints began rolling in. The objections seem to center around two of the proposals: cutting the Army to about 440,000 active duty personnel and cutting aging weapons systems. 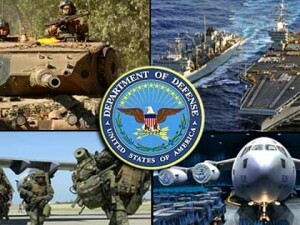 The cuts would bring the active duty Army numbers close to pre-WWII levels. Here, it is important to note that the Air Force was part of the Army until 1947, which means that the number 440,000 is actually almost twice as large as the ground force of the Army in 1940. Also notable is that Hegel’s proposed cut represents only 125,000 active duty personnel from a total force structure (active, reserve, guard) of over 1 million. In comparison to the Army’s numbers today versus 1940, the Marine Corps remains about 10 times larger than it was in 1940. The second chief complaint is the proposal to retire the entire fleet of the A-10 aircraft. Certainly, the A-10 is impressive to watch as it is respected for its ability to take out tanks. The A-10 entered service in the early 1970s and has not been produced for years. In fact, the Air Force tried to give the A-10 to the Army about 20 years ago. The Army refused to take it unless the Air Force threw in the cost for upkeep on this high-maintenance Cold War relic. The A-10 exists today because it gives visibly rewarding performances in air shows, not because it is a necessity for close-air support of ground troops. I respectfully disagree with the criticisms being launched at the proposed cuts to the DoD budget. Cutting troops and antiquated weapons systems does not represent a threat to the United States on two grounds: fiscal responsibility and grand strategy. Can we be more fiscally responsible in our own budgets? Sure, I bet most of us can. In our house we certainly don’t quit feeding the kids, but do I have to feed them by trips to the steakhouse, fast food, or expensive take out? Or can I go to the store and buy groceries to make a cheaper meal at home? This idea is the same within the DoD. The same required services from government can be provided without spending more money in many areas, and particularly in the area of national defense. When it is time to think about tough cuts and fiscal responsibility, we should ask: Why does the military exist in our society? Arguably, based on the ideas of the Founding Fathers, the military exists to help provide common defense and promote general welfare. The country’s first major military expenditure was on naval forces—necessary to protect and promote commerce and useful for the protection against possible force. As modernization of government systems and economic life progressed in the 1800s and early 1900s, militaries began to take on the additional role of protecting favorable balances of power for governments competing to be the most prevailing in the world. By fortune, and proper use of force (both economic and military), the U.S. emerged from WWII as one of the major powers in the world lasting through the Cold War and into the late 1990s. During this time, the balance of power was most advantageous to the U.S. The question then becomes about strategy. What strategy should have been chosen at that point in time for survival and maintenance of this advantageous balance of power? How should have the U.S. prepared to face future challenges to the balance of power? These questions should have been answered as the new century dawned, but they were not. Instead of choosing a strategy, the U.S. chose to use force to solve the situations it faced, which in turn had adverse effects on the security and power of the nation. Today, it is quite possible that reduction of the force structure (less on active duty) and removal of weapons systems (retiring the fleet of A-10s) will make us look at these questions realistically in terms of what can be accomplished with a force and strategy that is shaped in part by being fiscally responsible. Fiscally responsible force. I like the sound of that.